I wanted to get an update out to everyone, especially while the last few days are still fresh on my mind (and I apologize for the short novel I'm about to subject you to). 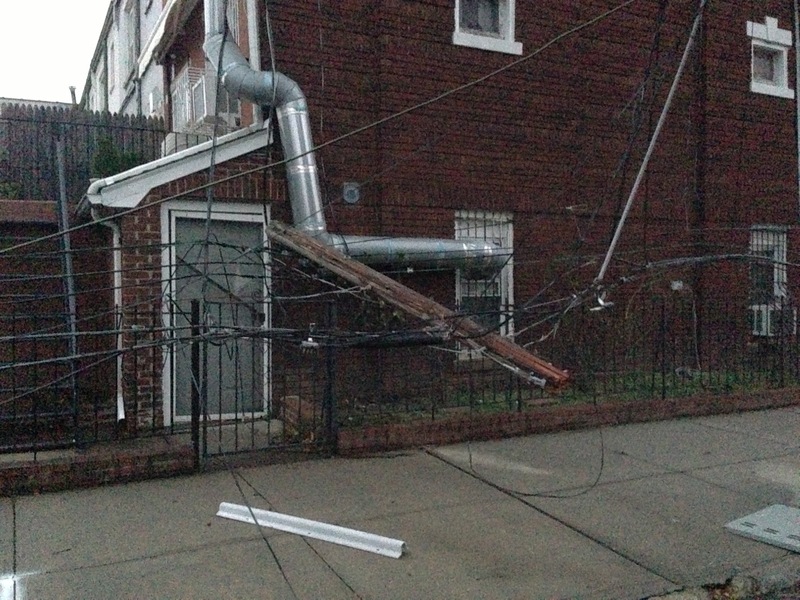 On Tuesday morning, I posted about the immediate effects of the storm on myself & my apartment. Since then, I have seen my neighborhood & made it into Manhattan (I am currently writing this from the office, as my Internet will be out at home for an unknown length of time). If you want to read about Sandy from the perspective of someone who had to evacuate, you can read my friend Jessica's story here. After the storm initially passed on Monday (where we lost a tree in my yard, our awning, and temporarily our cable/Internet), Tuesday rolled around very quietly. Once I ventured outside, I discovered why: the power line we had watched go down during the storm and many others were laying in the street, along with a few trees & various branches. This meant they closed off some of the blocks around me and our usual loud traffic was unable to pass. Tuesday morning, I took my camera and headed off in the direction of Astoria Park, a few blocks down the street from me. On the way, I passed more downed trees than I could begin to count. 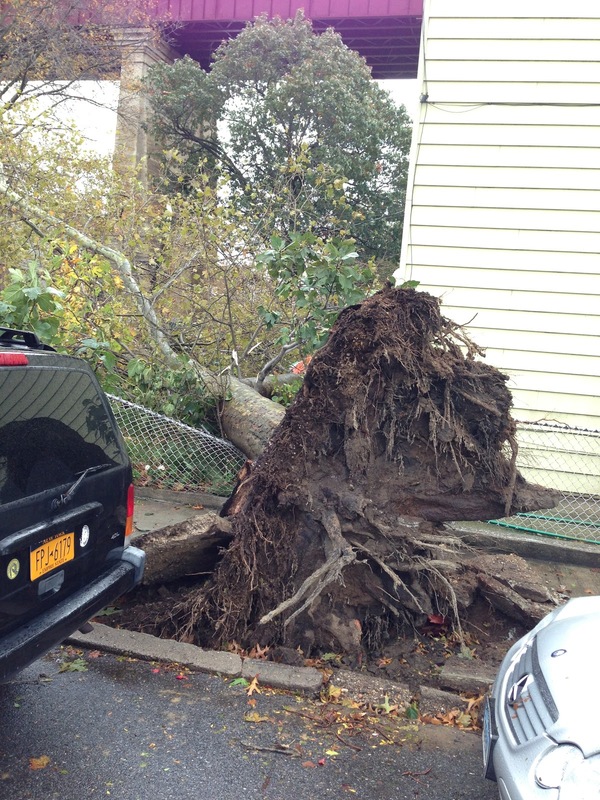 When the storm was on top of us, I assumed our tree went down because it was old & dead, and our awning came off because it was poorly attached-but Sandy was much more powerful than I had thought, and I really saw her wrath later in the day. Nearly all of the trees I came across were completely uprooted, and many pulled entire chunks of sidewalk or other trees up with them. Once I found out I had to return to work on Wednesday, I headed to the grocery store with my roommate. After heading a few blocks up my street (also the direction of my subway station) we realized we had to navigate police & caution tape like they were an obstacle course, taking extra care not to step on the cables and wires that littered the street. 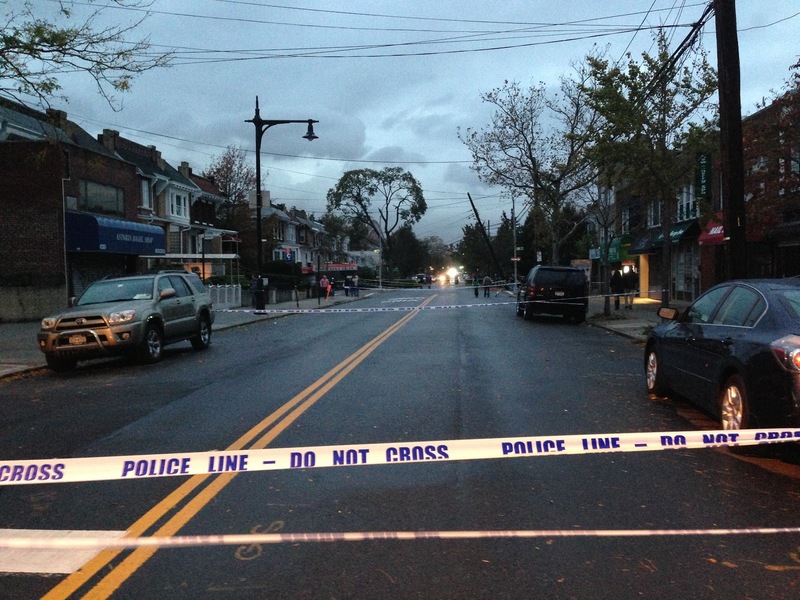 Nearly all of my street, a main road in Astoria, is shut down east of the subway due to these wires-and this morning I discovered there are now police guarding large sections, meaning I had to walk two blocks down to get around the damage and to the train. 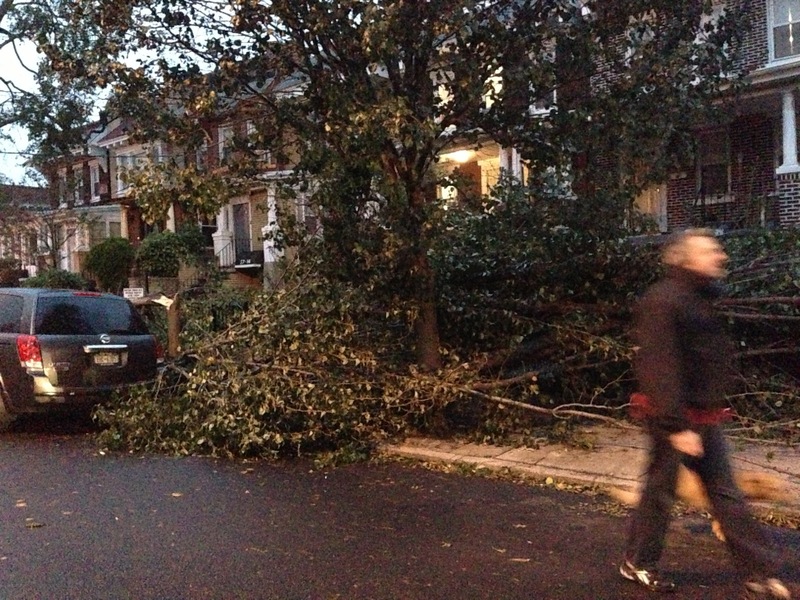 A few blocks up my street, just off to the side, a huge and very much alive tree came down on two cars and blocked off two buildings. Branches and small trees litter every sidewalk. Several telephone poles are teetering precariously. By Wednesday, I couldn't take being stuck inside any longer-especially without much of a connection to the outside world (cell service has been spotty, too). I attempted to head into work via limited bus service in my neighborhood, but traffic was gridlocked everywhere, possibly the worst trying to get out of Queens via the Queensborough Bridge which was naturally where my bus was headed. We made it about a mile of the six it takes to get to my office before most people got off and walked. I was going to have to transfer at the bridge anyways, so I hopped of the bus & headed for the plaza. Once I got close, I realized there were mass amounts of people walking the pathway of the bridge as opposed to getting on a bus. Eyeballing the traffic told me that I'd get over the bridge faster by joining them. All told, it took me 3 hours to get the six miles from my apartment to my office just south of Times Square, and five of those were walked. My body has been howling in disagreement since as I was wearing flat boots with little support for my already injured hip & back. I'll spare you the rest of the drama once I arrived, but I did have a car take me home in a little under an hour at the end of the day. Luckily, my subway line is operating enough today for me to get in and out of the city safely and quickly. The front of my apartment/house. The window right above where the awning was is to my bedroom. 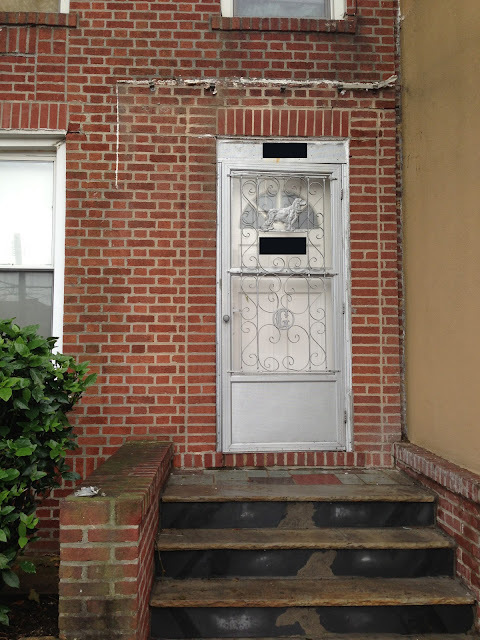 Walking towards the park, I came across this house. The tree hit the top corner and then fell in the yard. Walking to the store, we came across this HUGE tree that crushed one car, seen, and another up under the top branches on the other side of the street. It also completely blocked in two attached houses. 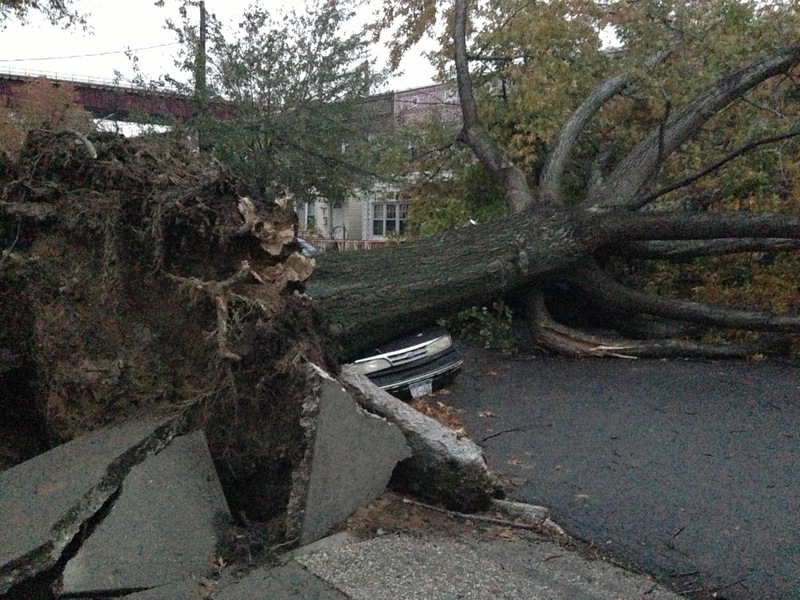 You can also see how it decimated the sidewalk it was rooted in. That same tree took out this power line, and snapped a telephone pole across the street-visible in the two photos below. What my street looks like right now. As you can see, every few blocks are blocked off from traffic, with an open block or two in between. By this morning, they had police monitoring the worst sections so people don't walk over wires (there are loose ones everywhere). The pole leaning in down the middle was weighted down by the fallen tree from before. Same telephone pole as above, from closer to the tree. Huge piles of branches litter the streets & sidewalks. 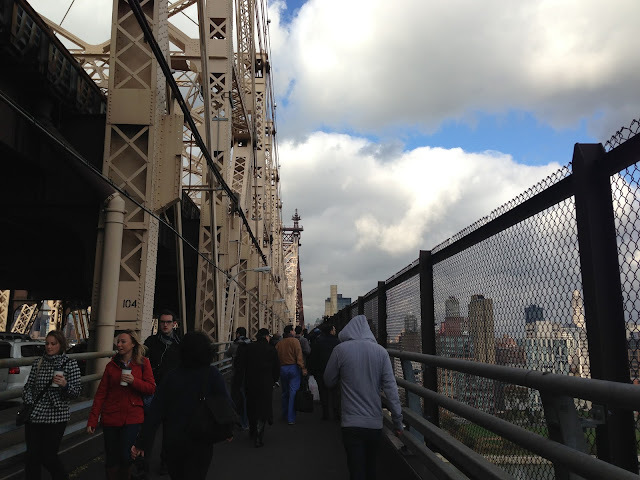 Walking over the Queensborough Bridge yesterday around 9:30am, with hundreds of others. My thoughts are with everyone still recovering, & all the places that will never be the same, & as always with my city. My goodness...I couldn't imagine how all that would have felt like. It's so scary! On another thought....I've really been enjoying your job. I have always said I wanted to come live in NYC once in this lifetime...just for a short period but still. I just love it there!! I would love to stay by the park in a penthouse :) Just dreaming here!